Born and raised in Indiana, Nancy Maxwell has spent most of her life as a resident in Morgan County. 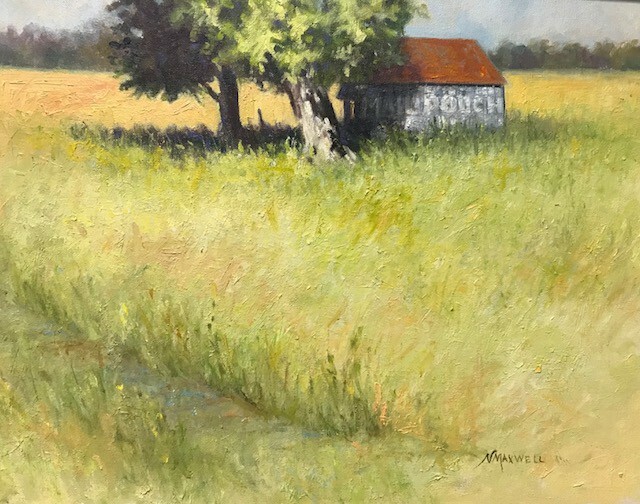 Working primarily in oils, Maxwell is both a plein air and a studio painter. She is well known for her light filled landscapes and can be seen frequently out in the fields and woods of central Indiana painting on site. Fine line pen and ink drawing, and watercolormixed media are also part of her ongoing work. 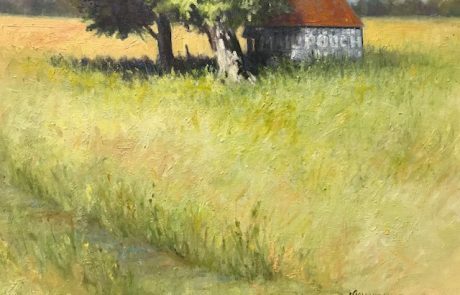 Working primarily in oils, Maxwell is both a plein air and a studio painter. 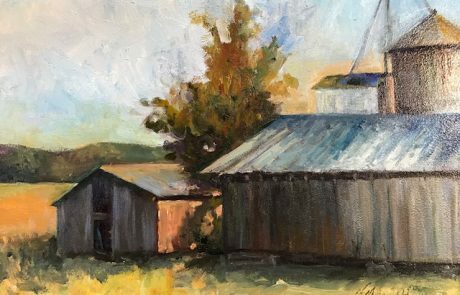 She is well known for her light filled landscapes and can be seen frequently out in the fields and woods of central Indiana painting on site. Fine line pen and ink drawing, and watercolormixed media are also part of her ongoing work. Maxwell earned a BA in Fine Arts with concentrations in textiles and paintings and an MS in Art Education, K-12, at Indiana University, teaching art in public schools for approximately 20 years. Active in various local and regional art and community events, Maxwell maintains a studio at Art Sanctuary in Martinsville where she has served on its Board of Directors. She serves on the local CVB (Convention and Visitors Bureau) and the Indiana Arts Commission Regional Advisory Commission, working to promote awareness of the arts and artisan based tourism in Indiana. She frequently speaks and demonstrates to community groups on the role of the arts in the community and is called on to judge regional art shows including 4-H and County Fairs. 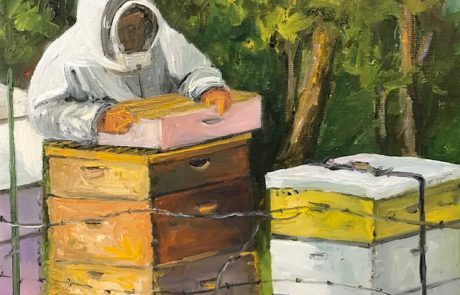 She is an active and regularly exhibiting member of the Indiana Plein Air Painters Association, Hoosier Salon and Indiana Heritage Arts and a member of the Brown County Art Gallery where she shows her work and serves on the Board. 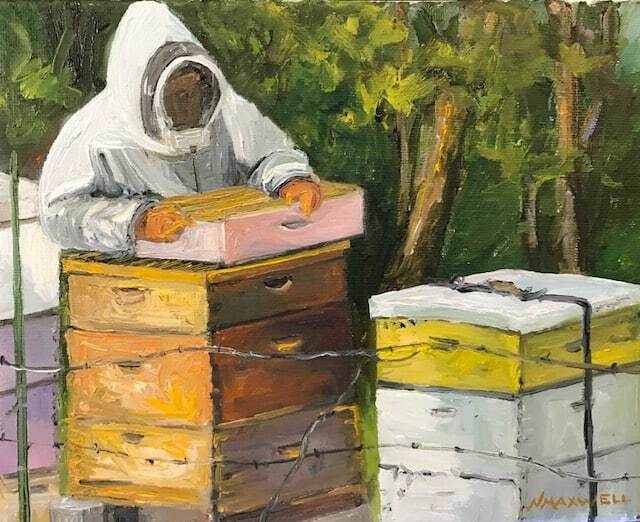 Having received numerous local and state awards, she was part of the “Thirteen Exceptional Indiana Artists” show at TOP (Traditional Oil Painters) Gallery, Bloomington, the Alcove at the Conrad, “En Plein Air” exhibit (Indianapolis), both invitational. 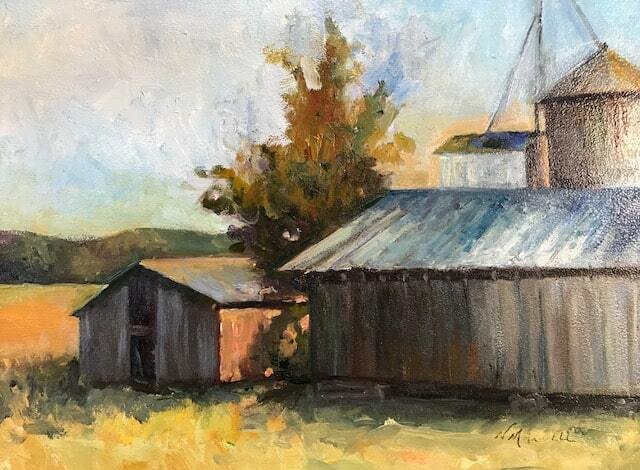 She was selected as one of the top ten plein air painters in the state as she was juried in to the Painting Indiana II The Changing Face of Agriculture book project, and had ten original works included in the book. During her public school teaching career Maxwell was selected for an Eli Lilly Fellowship Grant enabling her to study textiles and design in Japan. Her research there was used back in classroom settings to encourage a new understanding of design, cultural influences and color usage, as well as adding depth to her own painting and fabric design work. Always striving for better work and new challenges, Maxwell is a committed teacher and holds weekly studio sessions in both painting and drawing where she comfortably communicate skills and concepts that help her students find their own successes. Combining a competent skill set with the challenge of each new painting, whether from life or her own photographs, Maxwell’s work is a sentimental conversation with the Midwest.